Introvert and extrovert are two commonly used words to describe a person’s personality and also commonly misused and misunderstood. noun (psychology) a person who tends to shrink from social contacts and to become preoccupied with their own thoughts. Introvert comes from Latin intro-, “inward,” and vertere, “turning.” It describes a person who tends to turn inward mentally. These two personality types are opposites — introverts focus inward, into their own thoughts, and extroverts focus outward, into the world. 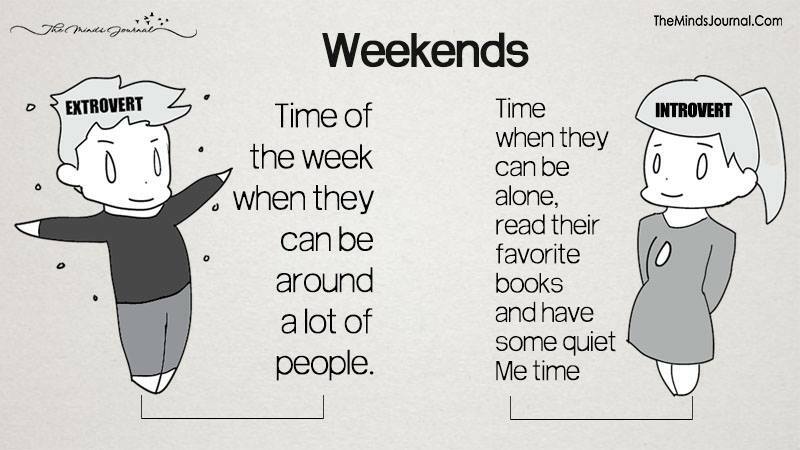 An introvert is less likely to socialize and loves time alone. They are known to avoid large groups and easily get drained of energy among a big crowd. An extrovert is widely believed to be an outgoing and fun-loving person. While that may ring true, it is not at all the true definition. An extrovert is an individual who is easily energized amongst large crowds. 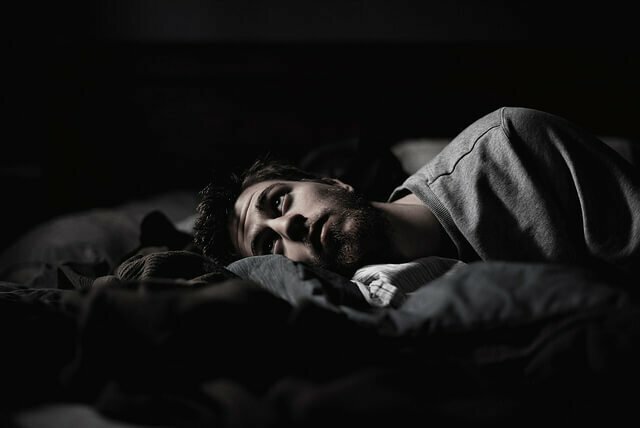 If We Assume that we all are batteries, then in such a scenario we can see that introverts recharge alone, but extroverts get energy from other people. 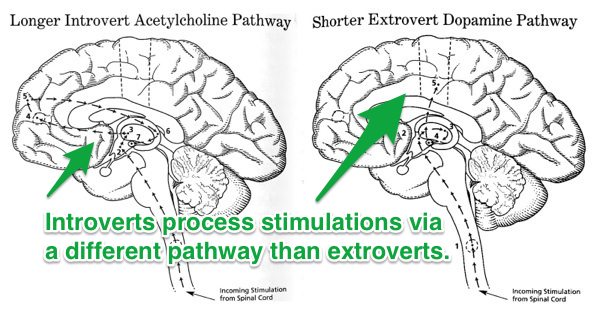 If you get them mixed up, remember that introverts turn inward and extroverts like external action. For extroverts love is not a noun but a verb, a state where in you put all your efforts to make your partner cheer. Love is where you are head over heels for someone and can’t wait to meet them and take them out with you. Love is A Celebration, and the best time to Celebrate Is Whenever you Can. Something more than just a feeling, something that pumps up your adrenaline and makes you do things that make both of you happy. For introverts, love is a scary feeling. Something that makes you think about a person all day long. An intense feeling which makes you long for them but you cannot reach out to them. Something that brings out the artist in you, something that makes you sing a song or write or paint. Someone you wake up each day in hope to see but can never gather enough courage to talk to. it is a state of being lonely accompanied by boredom. 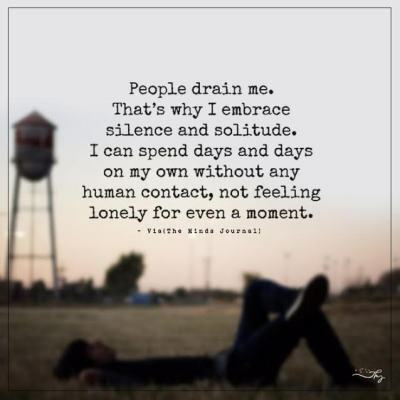 A time when they start desperately looking for the company because people’s presence is what recharges them and solitude drains their energy. In the process of finding a company, they even tend to visit different chat forums and social network. solitude is a blissful state, a place where they find solace and also recharge themselves. Crowd and people drain their energy, introverts need solitude to fill back the energy. They enjoy solitude as much as an introvert enjoys parties.